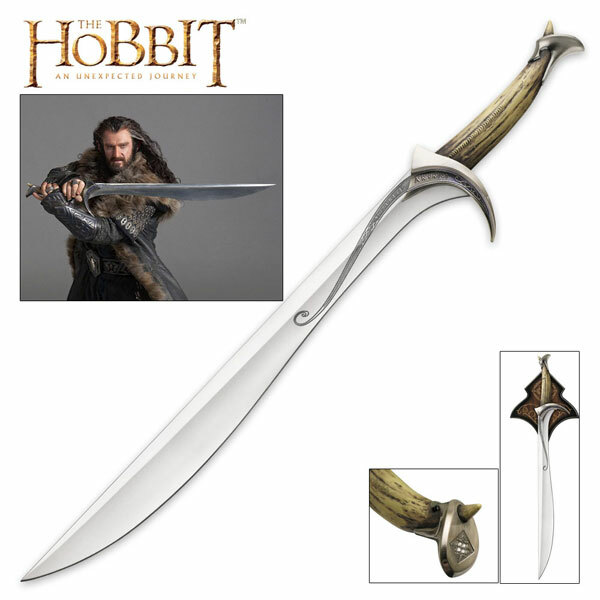 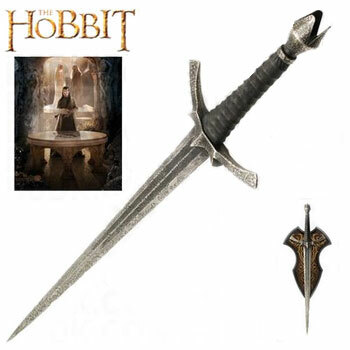 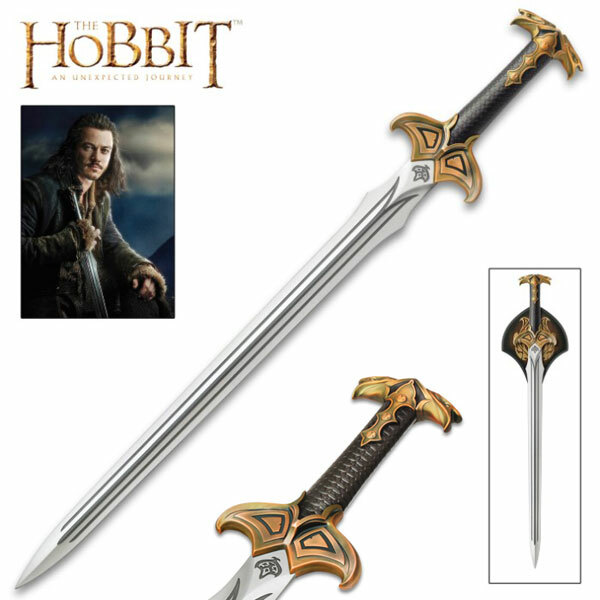 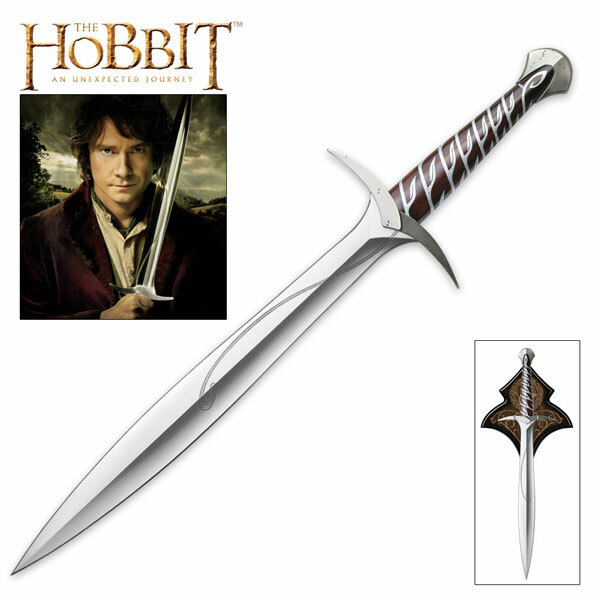 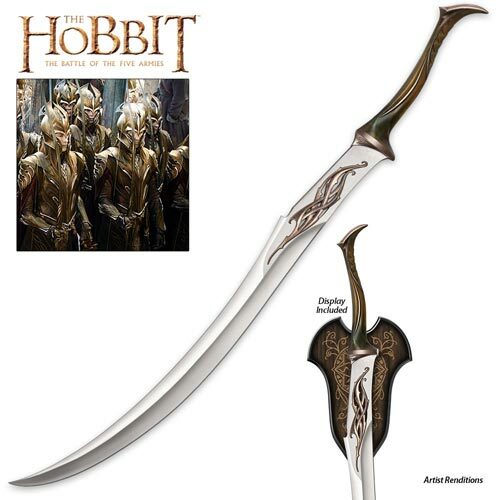 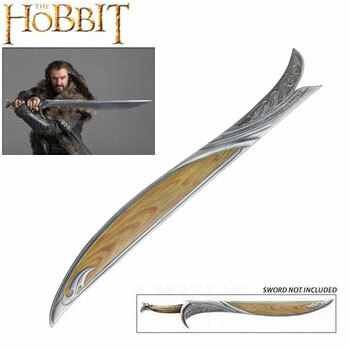 Sting Sword of Bilbo Baggins from The Hobbit Movie. 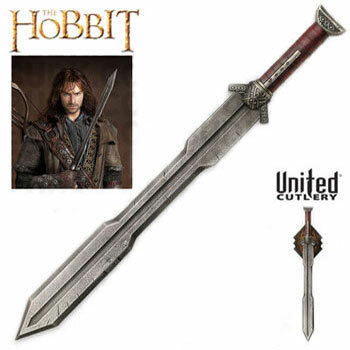 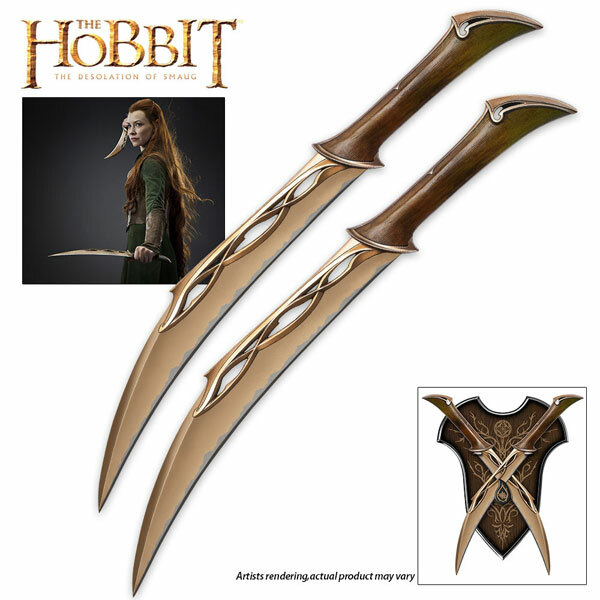 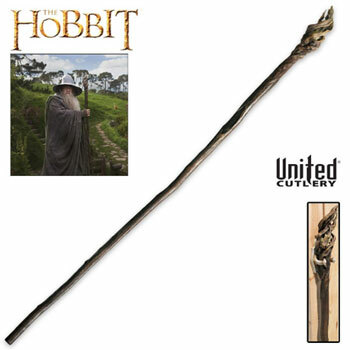 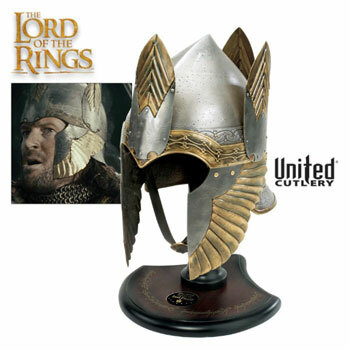 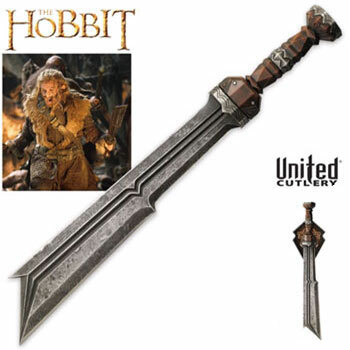 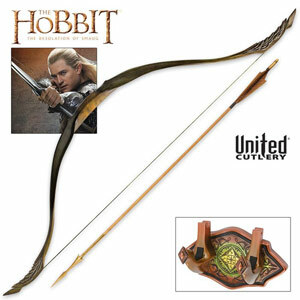 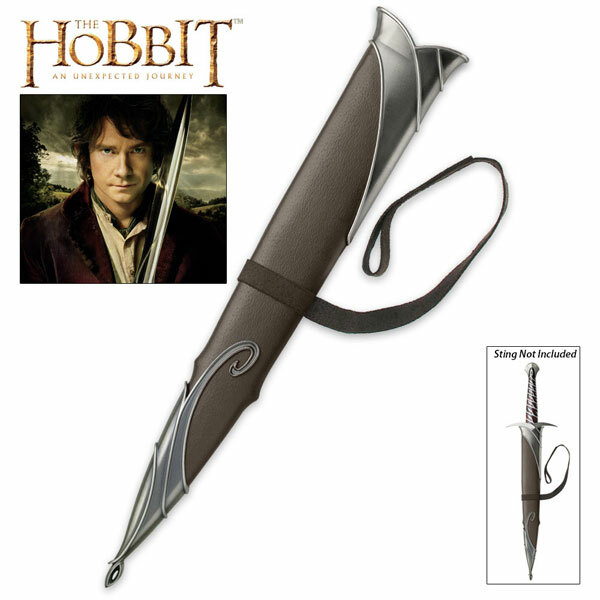 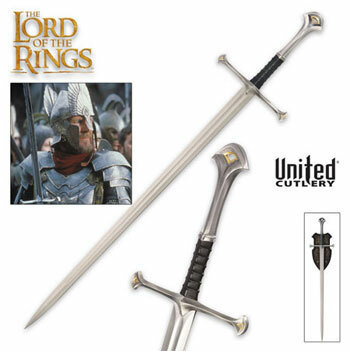 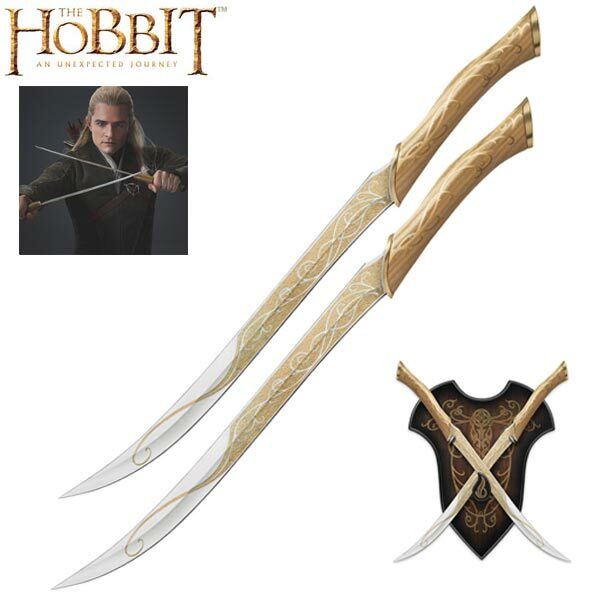 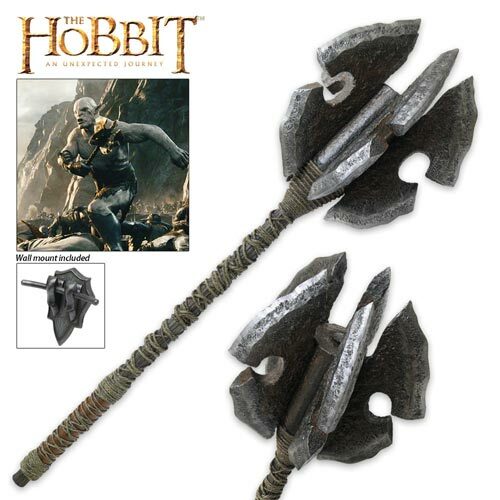 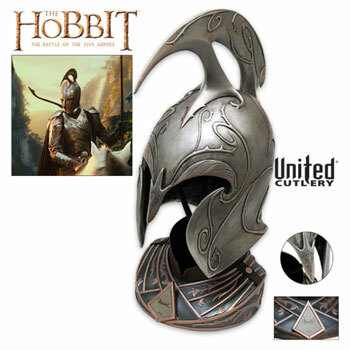 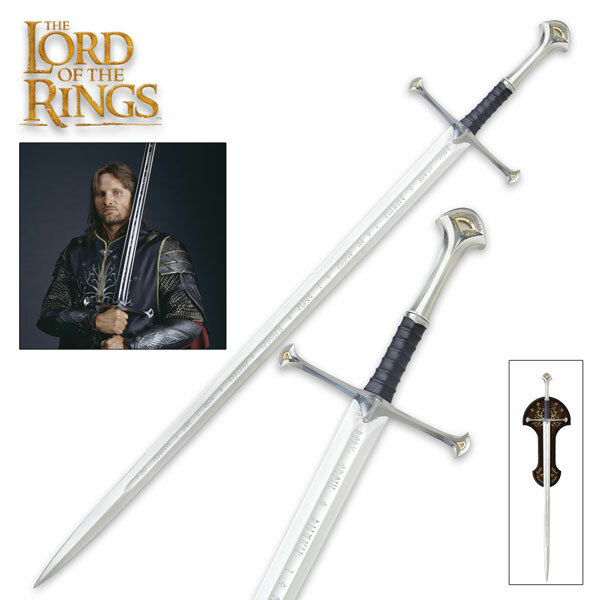 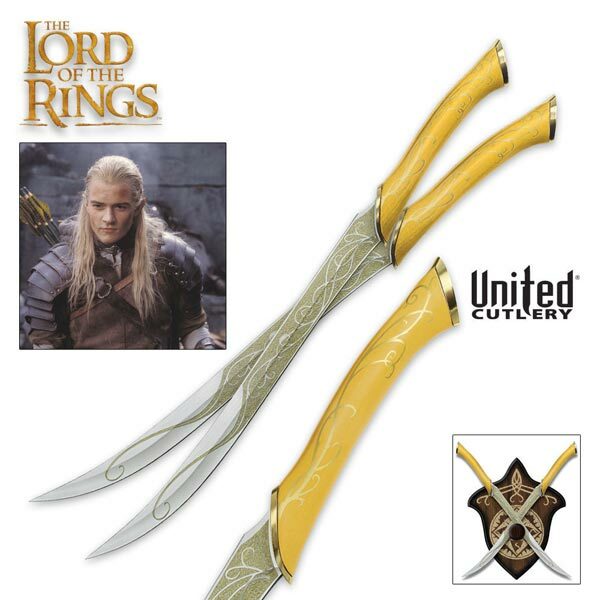 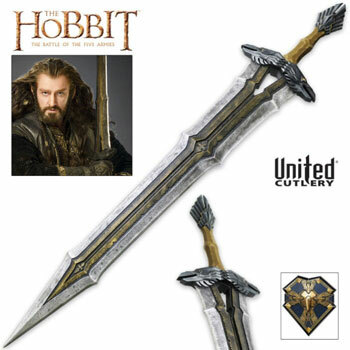 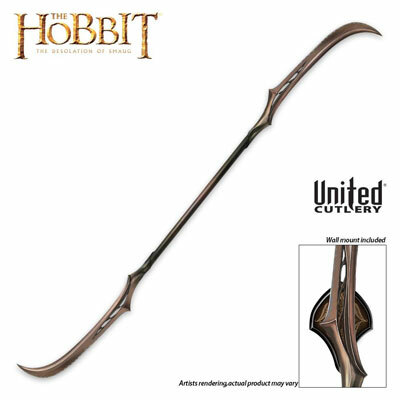 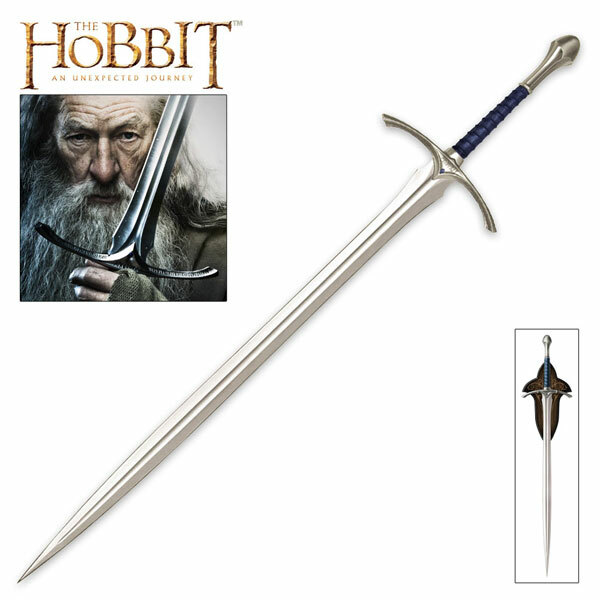 This officially licensed and authentically detailed replica made by United Cutlery is a reproduction of the actual filming prop used in the movie. 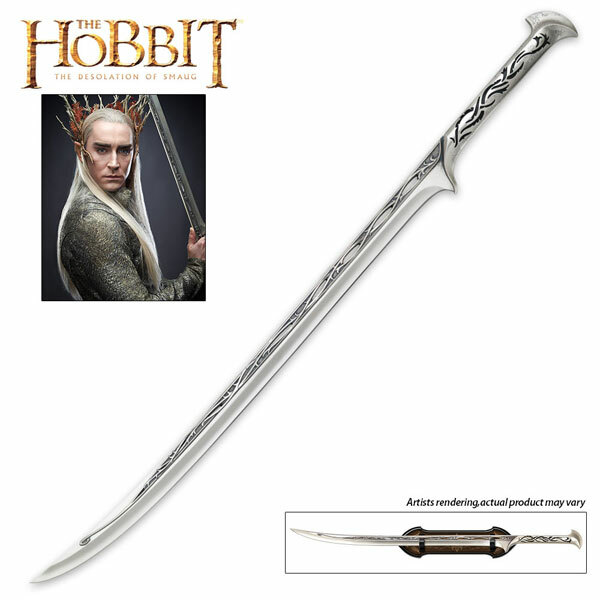 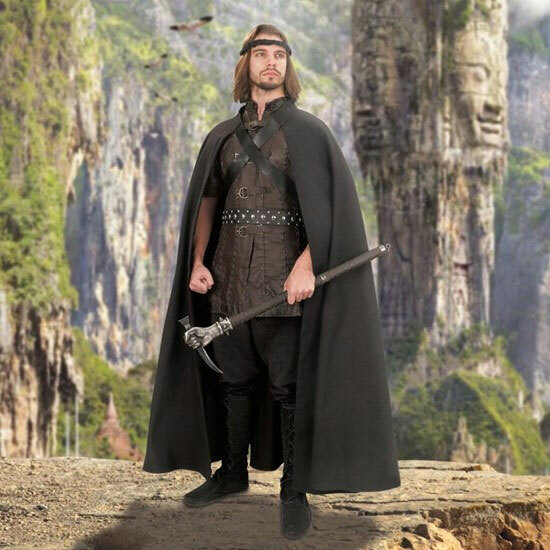 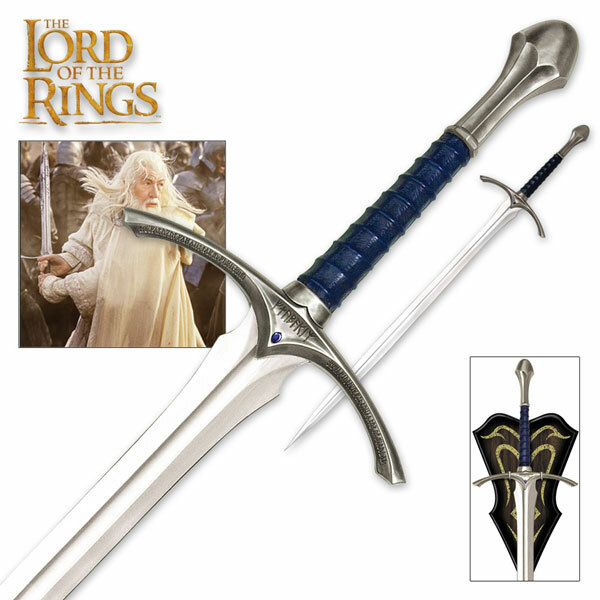 The Sting Sword is 22 ½” overall, featuring a 15 3/8" AUS-6 Stainless Steel blade engraved with rune sketches written in the Elvish language. 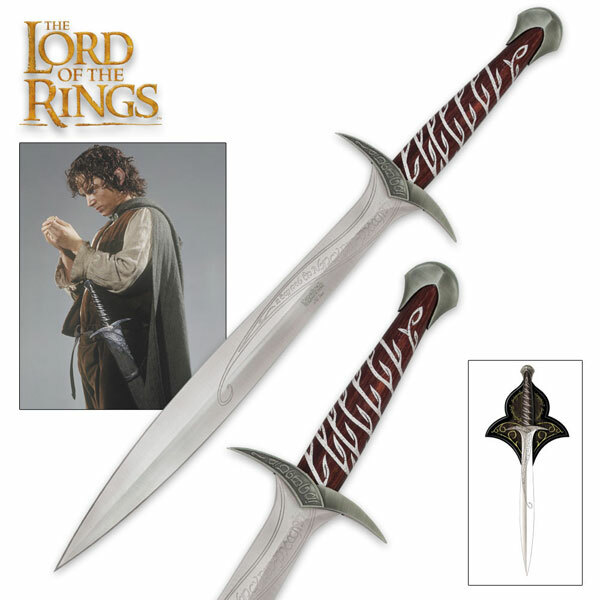 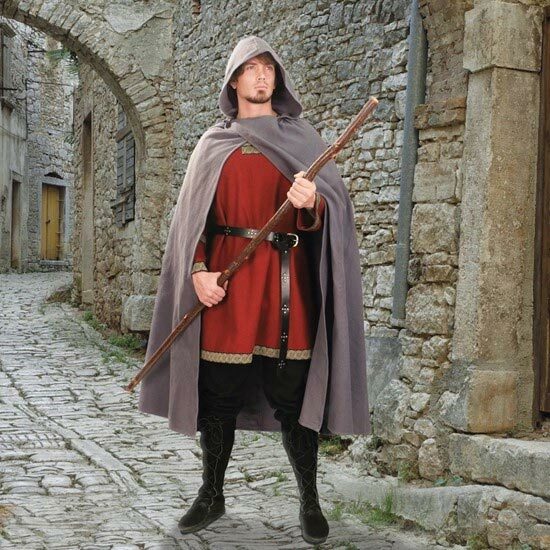 Sword has a beveled edge with solid metal guard and hilt parts with an intricately detailed vine adorning the grip. 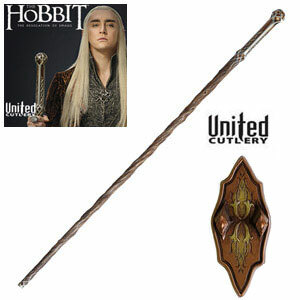 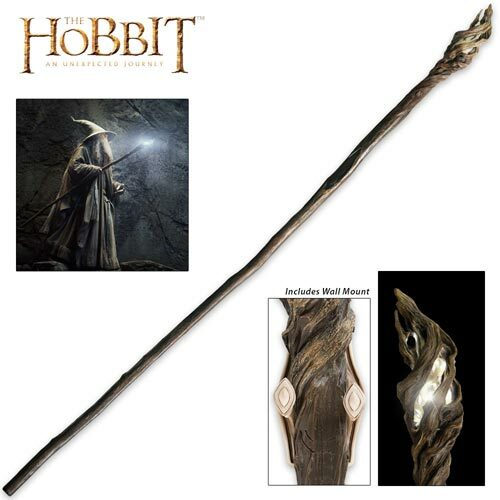 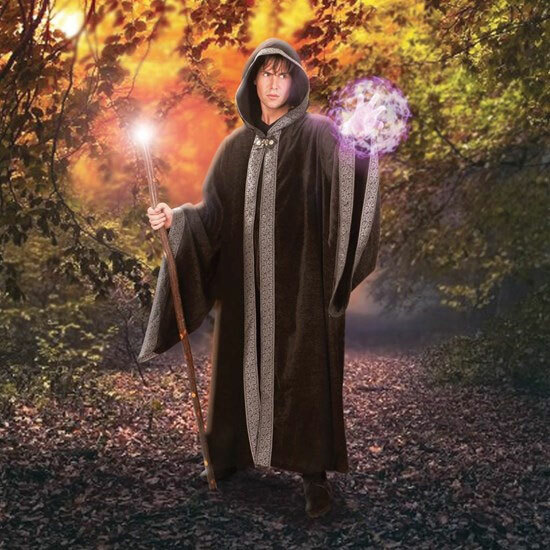 It is presented with a wood wall display featuring graphic motifs from The Hobbit: An Unexpected Journey, mounting hardware, display instructions and a certificate of authenticity. 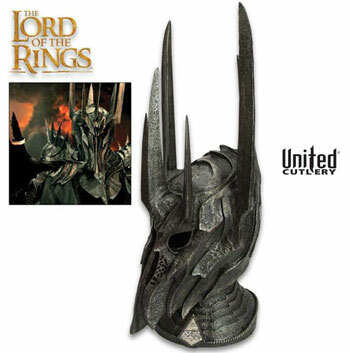 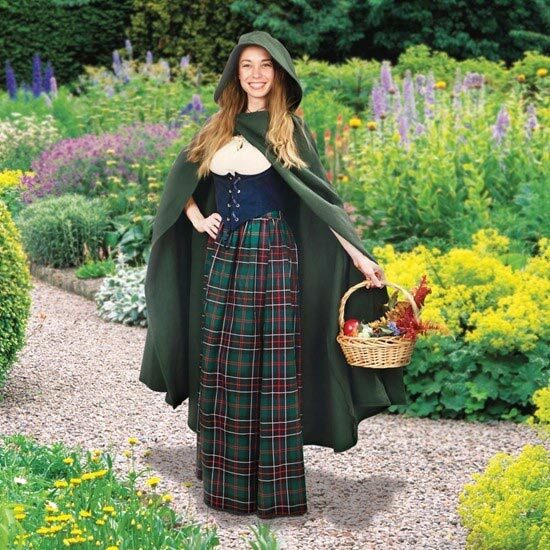 Buy this officially licensed replica for just $129.99.